18 May 2011, N.E.S.T base - A team of N.E.S.T operative and Bumblebee were send to snowy tundra in a undisclosed location at North America continent to investigative a mysterious signal that appeared on the radar believed to be a newly arrived Decepticons operative.Overall, the team believe its going to be piece of cake since they have face multiple and larger Decepticons forces in the past and prevails. They were wrong and the team either annihilated, captured or missing in action. When a second team larger team are dispatched and arrived at the site ,they found only crater,sign or tales of short yet heavily pitch battles and wrecked vehicles and weapons.However, all are not lose yet as N.E.S.T operative managed to pull few image out of the surveillance camera and a confirmed visual of the enemy. A enemy I loathe to faced even back during Cybertronian wars .Shockwave- a short speech from Optimus Prime during post operation N.E.S.T debriefing. NEST Operative prepare to engage! "Logic brings all things to order." Option B: Tell us how you would defy the Autobots and destroy the world, and which Decepticons character you would like to transform into to destroy the world. Logic.Emotionless.Cold.Brutal.Few words can sums up Shockwave as the most trusted lieutenant of Megatrons forces .Handful of Autobots and few have escaped alive during their unfortunate encounter with Shockwave at Cybertron. While Megatrons and other Decepticons desire power and eager to engaged the Autobot in countless destructive battle . Shockwave seek to destroy his Enemy or World using most efficient and short but proven method to ensure his objective is achieve one way or another. 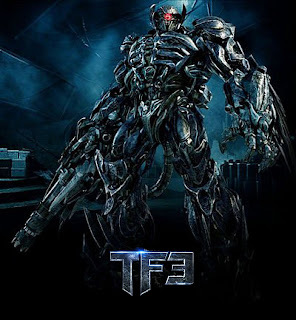 Plus his undying loyalty to Megatron has make him the most formidable adversary for any Autobots and humankind or even keeping fellow Decepticons in line out of fear.With Shockwave around, Optimus Prime and his fellows Autobots on Earth will certainly have tougher challenge this time. 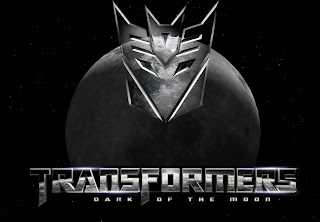 Option A: Tell us how you would protect the world from the Decepticons, and which Autobots character you would like to transform into to protect the world. 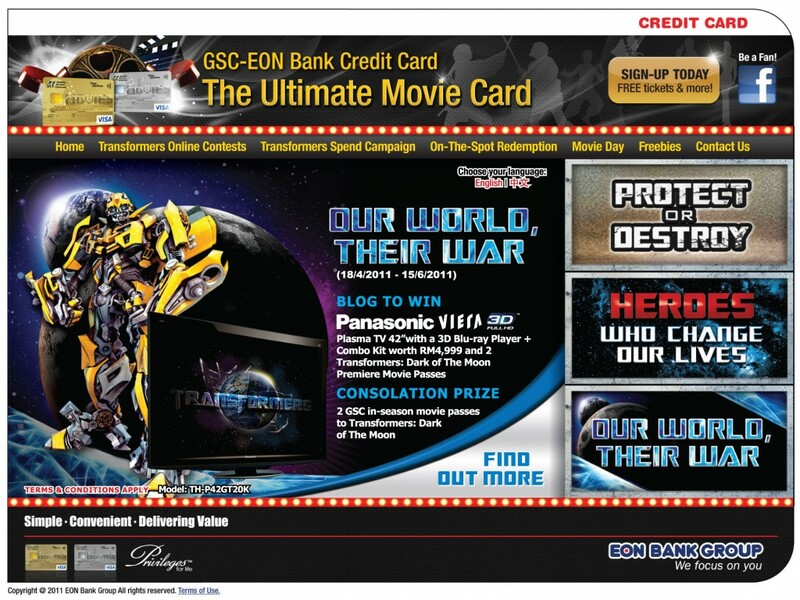 Btw, GSC- Eon is organizing a few contest too based on upcoming Transformer movie such as Protect or Destroy” or “Heroes Who Change Our Lives contest. While The “Our World, Their War” blogging contest is exclusive to Nuffnangers only,you might follow http://www.gsc-eonbankcard.com or The Ultimate Movie Card Facebook fanpage to win more Panasonic Viera Plasma TVs and movie passes! If that not enough, check out the teaser for Transformer :DOFM!